Phenix Luxury Vinyl Flooring Review | Floors, Flooring, Carpet and More! Phenix luxury vinyl flooring is produced by a leading manufacturer of residential flooring. Phenix has been committed to producing the highest quality products since 2006. Using today’s most innovative technology, they make premium LVF that exceeds industry standards and continue to be a pioneer and innovator in the luxury vinyl flooring arena. 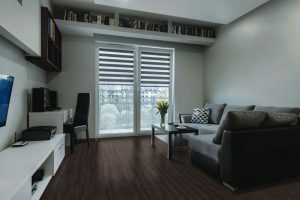 American Carpet Wholesalers of Georgia is confident in the Phenix luxury vinyl flooring products and know that Phenix stands behind each and every one of them with excellent warranties. For luxury vinyl plank that offers style & value, excellence & beauty, quality & durability, look for the brand that rises above the competition – look for Phenix. Add the look of wood without the worry. 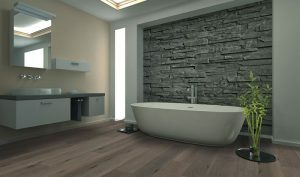 Waterproof planks make installation in bathrooms possible! Phenix luxury vinyl flooring “Impulse” is a revolutionary rigid core luxury plank featuring COREX™, a rigid thermoplastic extruded core. Impulse combines COREX™ with a cork backing which eliminates the need for any additional underlayment. It’s enhanced urethane coating (made with quartz particles) protects against scratches from everyday wear and tear, including pets. No need to worry about spills either. With a unique locking system that prevents leakage, Impulse will perform in any room in your home. Impulse planks are 6.93 inches wide by 47.76 inches long. The Impulse style shown here is Allspice. Warm tones can make your room more inviting. Free Expressions Toasted Brown adds elegance and warmth to any room. Deep tones make for a calm and tranquil decor. Perfect for a media room or home office. “Momentum”, from Phenix luxury vinyl flooring, is a revolutionary rigid core luxury vinyl plank featuring COREX™, a rigid thermoplastic extruded core. Momentum combines COREX™ with a cork backing which eliminates the need for any additional underlayment. It’s enhanced urethane coating protects against scratches from everyday wear and tear, including pets. No need to worry about spills either. With a unique locking system that prevents leakage, Momentum will perform in any room in your home. 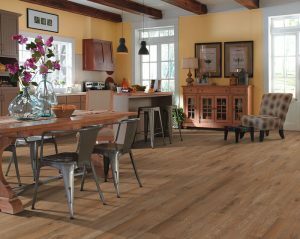 These trendy planks measure in at 6 inches wide and 47.75 inches long. The style shown here is Espresso. With so many choices in color, finish, stain and wear protection, and plank size you owe it to yourself to call in the experts! Give the professional staff of flooring pros at American Carpet Wholesalers of Georgia a call. They can help ensure you get the best Phenix luxury vinyl flooring for your project, call them at 800-548-2706 today!